Moving to Lightroom: Image processing and workflow is mandatory reading for anyone wanting to learn how to manage and process their images in Adobe Photoshop Lightroom. 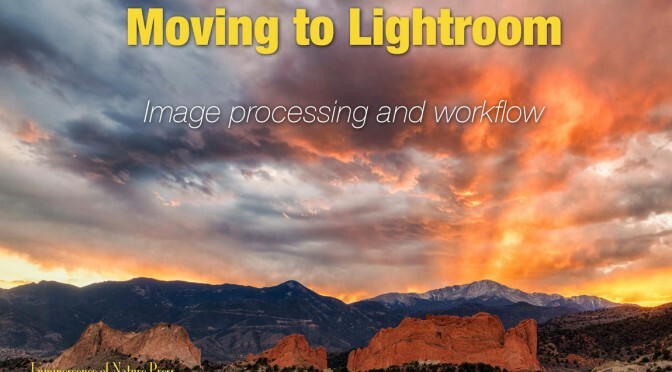 I’m pleased to announce the release of Moving to Lightroom: Image processing and workflow. While this book will be useful for any Lightroom user, I cover all the things I wish I had known before I migrated to Lightroom. This guide represents a view of Lightroom from someone who was starting out with thousands of previously edited images, and had to learn how to re-process them. I’ve taken my lessons learned and written a complete guide to image management and processing with Lightroom. I’ve spent the last several years learning how to leverage Lightroom’s underlying database for managing my images, and how it beats a traditional browser/editor workflow system. 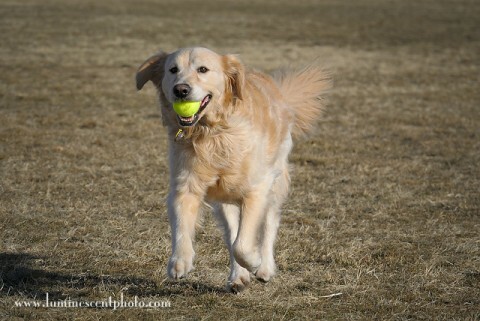 I also learned a completely new set of image adjustment tools and a whole new image adjustment paradigm. I’m happy to say that I use Lightroom to adjust all my raw image files and I couldn’t be happier with the results. I’m happy to share my knowledge of Lightroom’s tools with you in this new guide. 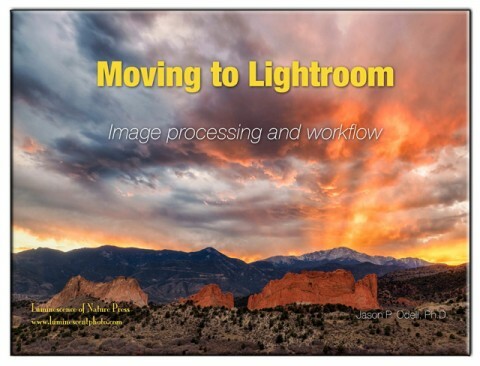 So if you’re new to Lightroom, or getting ready to migrate over from another workflow application, check out Moving to Lightroom. It’s sure to lower your learning curve and get you up and running quickly! 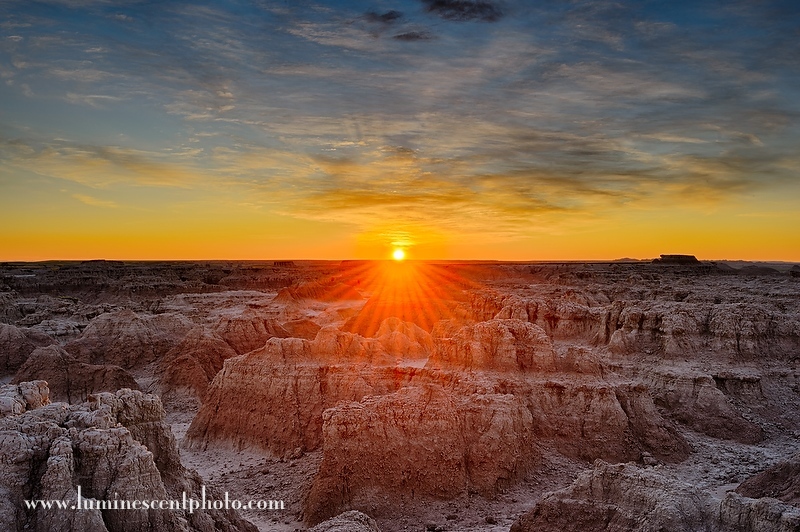 Some of you may have noticed that I’ve recently been posting a lot of HDR photographs here and on my G+ page lately. Part of the reason is because I enjoy being creative, and HDR is one of my creative outlets. The other reason is that I’ve had the opportunity to test the latest version of Nik Software’s HDR tone-mapping software, HDR Efex Pro 2.0, which was formally announced today and is available now. At first glance, version 2.0 might seem like a minor revision, with subtle improvements to the interface and control sliders. However, I can honestly say that after testing HDR Efex Pro 2.0 for the last few months, I will not be going back to version 1. My HDR images are consistently better across the board with version 2.0; they have better color, better sharpness, and superior tone-mapping effects. If you’re going to fly, you’ll need wings and a full tank of fuel. In today’s digital world, we have unprecedented access to high-quality photographic equipment. Just ten years ago, most photographers had a basic camera, sent their film off for processing, and got back a set of slides or 4×6″ prints to enjoy. Early digital cameras were either too expensive or too limited in quality to really be adopted by the average consumer. Now, you can get a 24 megapixel camera like the Nikon D3200 with a zoom lens for under $700! Think about that for a second. Today’s digital cameras have enough resolution to rival medium format film cameras of the past. Back then, the only people I ever met who used medium format were studio portrait photographers. A medium format system was completely unrealistic for most photographers; they were harder to use and cost a fortune. Why does this image seem to "pop" off the background? I used the oldest trick in the book! 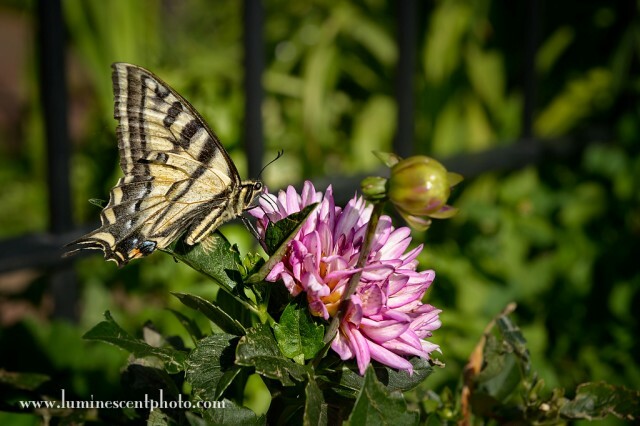 My main mission here at Luminescence of Nature is to educate photographers. To that end, there’s always lots of discussion about camera settings, RAW converters, and software settings. But even though we live in the digital age, there are some old tricks that just work. The difference is knowing how to apply the effect in your software of choice. The effect I’m talking about is corner shading, or vignetting. This was the old darkroom trick of “burning” or “dodging” the edges of the frame to draw attention to the center of the image. This technique can be applied via a variety of tools in your digital darkroom, but the concept is simple. Your eye is subconsciously drawn to bright, colorful, contrasty areas, and conversely avoids dark, low-contrast, low-color areas in a scene. What’s great about this effect is that it need not be applied so strong as to be obvious, and yet it still delivers a powerful impact. Let’s take a look at three different ways to apply a vignette effect in post-processing.